The newly-opened store currently sells 40 GI tagged products and hopes to add 10 more to its inventory by the end of this month. 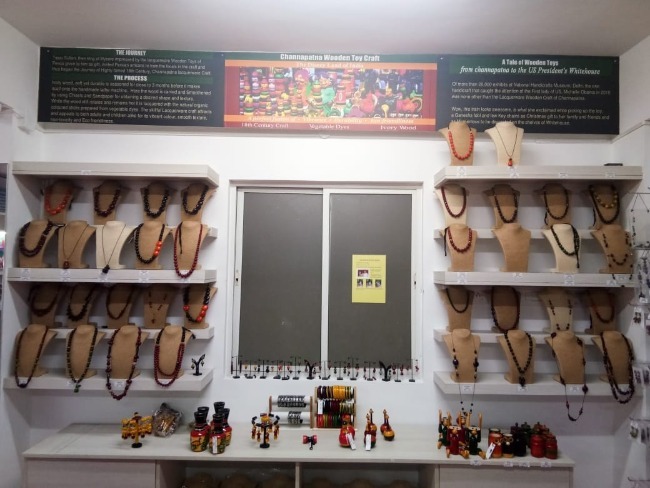 A stone’s throw from Bengaluru’s HSR Flyover is a store advertising Indian handicrafts, but here’s the twist – all the products sold here are marked by a Geographical Indication (GI) tag. This uniqueness makes it one of the few stores of its kind in the country, and perhaps even the world. The GI Tagged store, set up under the aegis of the Geographical Indications Tagged World Premium Products Pvt Ltd (GITWPL), was inaugurated on May 10. It currently sells 40 GI tagged products, ranging from handicrafts to spices and jewellery. Some of the store’s prized products include Karnataka’s famed Channapatna toys and the world renowned Villianur terracotta from Pudhucherry. The World Intellectual Property Organisation specifies GI as a sign used on products that have a specific geographical origin and possess qualities or a reputation that are due to that origin. In India, a GI tag is enforceable under the Geographical Indications of Goods (Registration and Protection) Act, 1999, which came into effect in September 2003. There are currently over 300 GI tagged products in India, with Karnataka leading the list with 39 products that have been awarded the tag. A majority of these marked products are procured from districts and regions of India that are classified as rural. The uniqueness of the GI Tagged store does not end with the products it sells but is also evident in the way the organisation is set up. It all began in 2016 when the organisation launched what it called ‘GI panchayats’, a system to try and “negate the loopholes of traditional panchayats”, according to SJ Tejas, Commissioner at GITWPL. While villagers assemble under the banner of traditional panchayats to discuss a range of issues, the GI panchayats bring together farmers, artisans and other villagers associated with GI products in the area. Expectedly, initial discussions at the GI panchayats revealed the inflated prices of products by the time they make their way from the farmer or the artisan to the consumer, via the middleman. The GI Tagged store was started with the aim of working to negate the middleman concept. “Any product you see on our website has its exact cost listed for full transparency,” Tejas says. 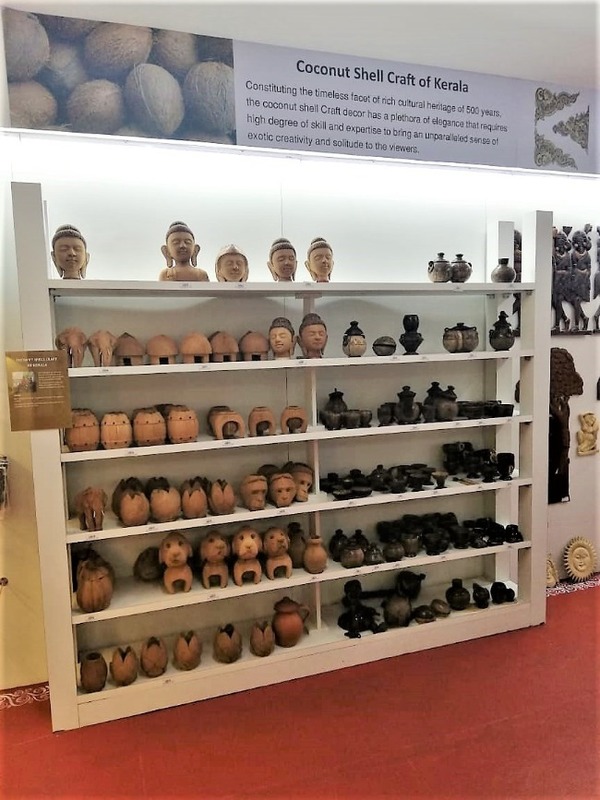 A quick rundown of some of the handicrafts on the website shows that the cost listing of each product, including the profit-sharing ratio and a contribution to a regional development fund, are displayed. Another decision taken at the GI panchayat was to recognise the people behind the products. 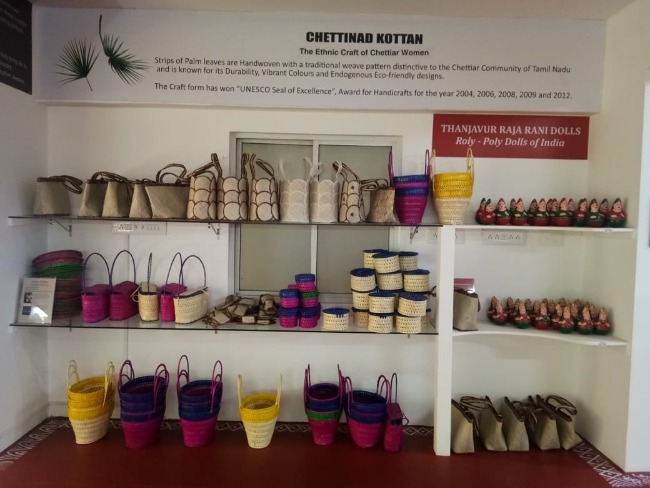 “All the handmade products are sold in the name of the artisans or crafters involved,” Tejas explains, adding that this was done to instil a positive sense of competitiveness among artisans. 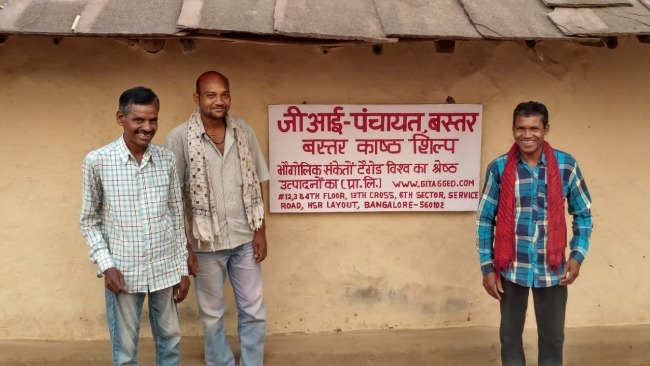 The GI panchayat, however, wouldn’t have been possible without the help of staff at the ground level, roles of which were filled with the help of an exam similar to that of the civil services exam in the country. The GIAS or Geographical Indicators Administrative Service exams are the brainchild of Tejas, a former civil service aspirant himself. The first ever round of the exams was held in 2017, with over 4,000 applicants vying for about 100 positions. 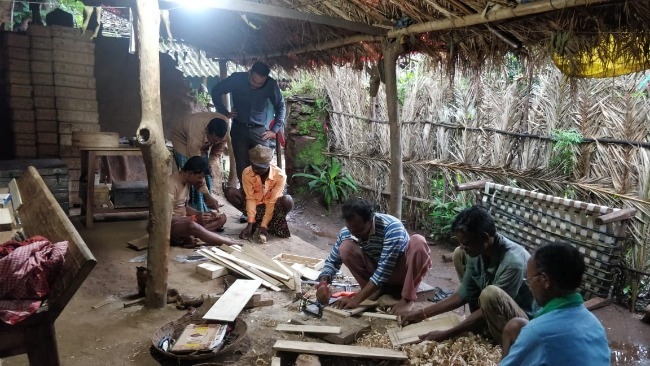 More often than not, rural folk with innate knowledge of art forms or handicrafts move on to different professions owing to the lack of opportunities, as Tejas found out during the fieldwork for the setup. 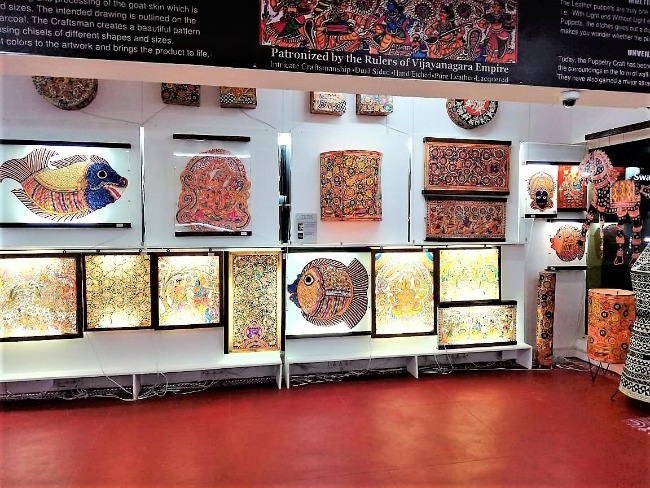 Tejas adds that the Bastar tribal art pieces currently on display at the store were some of the hardest items to procure. In India, governmental awareness and attention towards GI has been minimal, as raised by many in the legal fraternity. The past few years, however, have seen signs of improvement. In September 2017, the central government’s cell for IPR promotions and management launched the #LetsTalkIP campaign in what it said was the beginning of a series of steps to promote GI tagged products. The recent ‘Rasgulla battle’ between West Bengal and Orissa for a GI tag may have had a hand in spreading awareness about the tag as well. Asked if the store’s future plans involve international collaboration, Tejas acknowledged that the cross-exchange of GI products between India and other countries was an option. “We’re looking at Australia and Germany as potential markets, especially for products like spices and handicrafts,” he says, adding that the plans may materialise in as early as in the next 5 months. With 40 products in its inventory so far, the store’s immediate plans are to include an additional 10 products by the end of May.